There was a period when one had to hide their love of playing Dungeons & Dragons for fear of being dubbed a “nerd”. Now that nerd culture has gone mainstream and being different is something to be worn as a badge of honour. While some partake in Cosplay, others, like Greg Sommer, prefer to indulge in the world of Box Wars. Similar to LARPing in theory, but vastly different in practice, Box Wars is a league where men and women relieve some aggression while having fun all at the same time. Two teams square off against each on a battlefield until one person, or team, is proven to be the dominant victor. The catch is that all the elaborate armour, weapons, and costumes are made out of cardboard. That is right…cardboard. 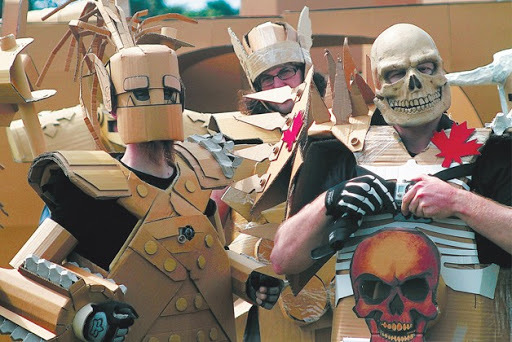 If the idea of grown men and women covered head to toe in cardboard embarking on Braveheart style battles sounds silly, then you clearly have not seen Justin McConnell’s documentary Skull World. McConnell’s endearing film explores the lively subculture that is Box Wars through the eyes of one of its biggest champions, Greg “Skull Man” Sommer. Living in his mother’s basement, Sommer is a man in his early 30s who has spent most of his days splitting time between his job as a graveyard ditch digger and his freelance film production work. 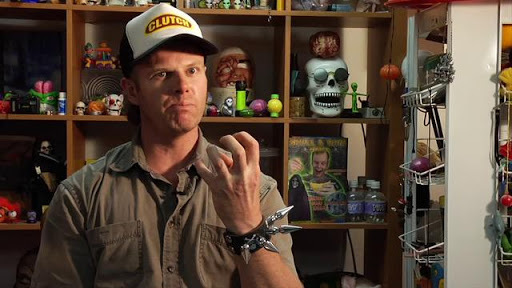 An energetic personality, Sommer would entertain himself by wearing a homemade skull mask and making a series of variety show style, by way of Jackass, videos. Known as “Skull Man” to friends, it was not until he discovered the Australian underground pastime of Box Wars that Sommer’s life found new meaning. Starting up his own Box Wars chapter in Toronto, Sommer’s watched as it evolved from a fun hobby amongst friends to a massive event that was getting notice from national newspapers such as The Globe and Mail. Skull World finds Justin McConnell documenting several years in Sommer’s life as he attempts to grow Box Wars into a multimedia empire. Similar to the wonderful documentary Beauty Day, Skull World is a film that may appear to be about an eccentric figure on the surface, but it is really a tale of friendship. Sommer is an individual who comes off as extremely odd at first, yet you grow to see what so many of his loyal friends already see…a genuinely good-hearted individual. Sommer is the type of person who loves to entertain, but always want to ensure that everyone else is having as much fun as he is. 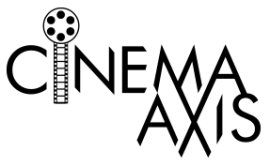 Clearly Sommer’s charisma and passion is infectious as McConnell himself cannot help but try his hand at Box Wars on a few occasions in the film. What comes as a surprise to McConnell, and the audience as well, is how rough the actual battles are. Though all the participants leave with a huge smile on their faces, several of them limp away with noticeable bruises and gashes. It would have been nice if McConnell had elaborated a little more on Sommer’s personal struggles. McConnell touches on the romantic mishaps that Sommer’s endures, blow up doll not included…don’t ask, but there was definitely much more to mine there. Also, it would have been nice to shine a little more light on the highly creative pieces of armour and weapons that the Box Wars participants create. It is almost a shame to see such oddly fascinating works of art recklessly smashed and impaled into others. Still, these are minor quibbles in what turned out to be a surprisingly entertaining and endearing film. Skull World may not inspire you to jump into the world of Box Wars personally, but you will definitely have fun learning about, and appreciating, the culture. One thing about Skull World is clear, you will never look at a cardboard box the same way again. Excellent review. Thanks for shining some light on this one.I'm looking forward to seeing it. The film is now on out on DVD/Blu-ray as well as Video on Demand. So you have several options for seeking it out.